Istana Ombak Eco Resort is a remote paradise that is ‘hard to find and harder to leave’. 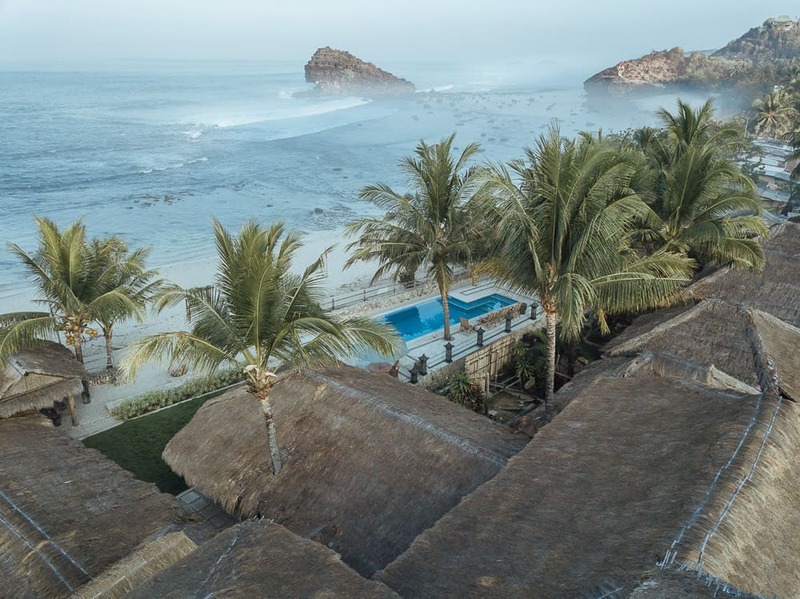 Istana Ombak, meaning Wave Palace, resides on the beachfront of a world-class surf break at Pantai Watukarung on the East Java coastline. 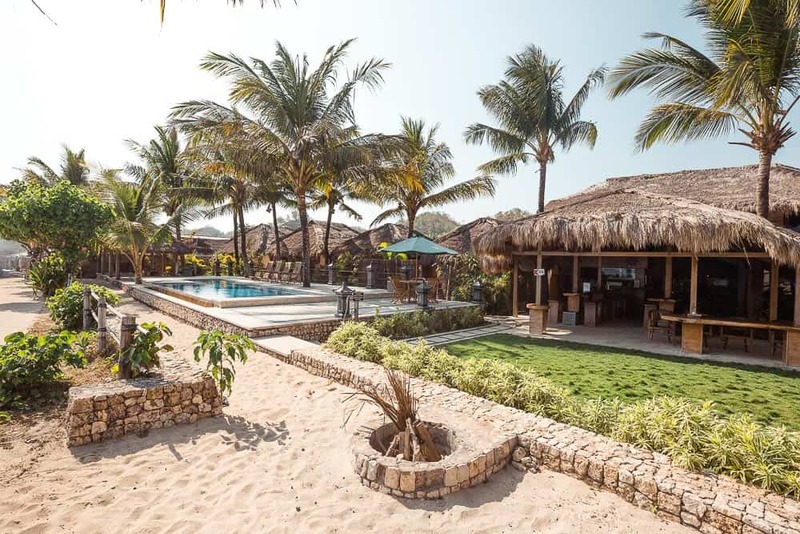 Not only will you be spoiled at this resort with genuine hospitality and 5-star accommodation, you will also be spoiled with world-class waves, pristine beaches and plenty of adventurous activities all making for an unforgettable experience! Istana Ombak Eco Resort is a 3-hour drive from Yogyakarta City in Java. The resort offers transport from Yogyakarta Airport to Pantai Watukarung for 750,000 Rupiah ($75) one-way. The small village of Watukarung is very quiet and peaceful and the locals are quick to give you a waving smile. 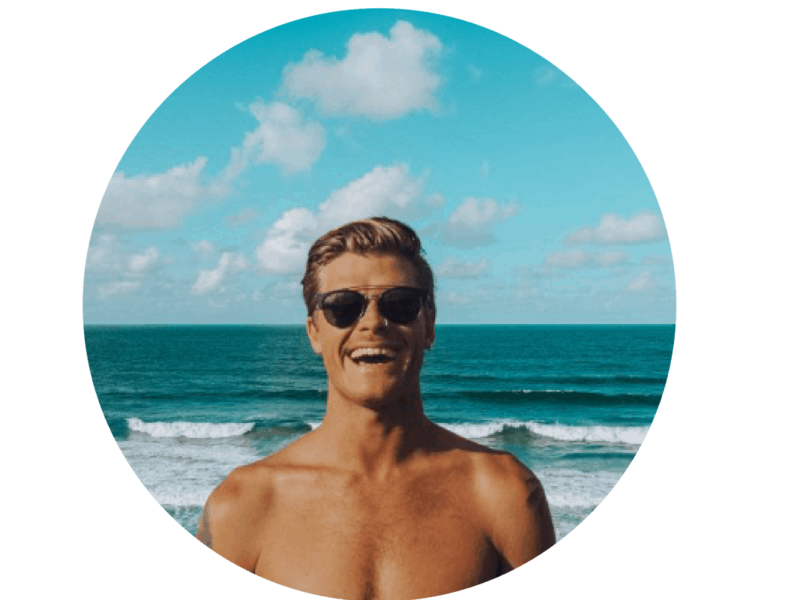 As soon as you arrive at the resort you will be welcomed by the owner Rod and his wife Dewi who will assist you with everything you need. 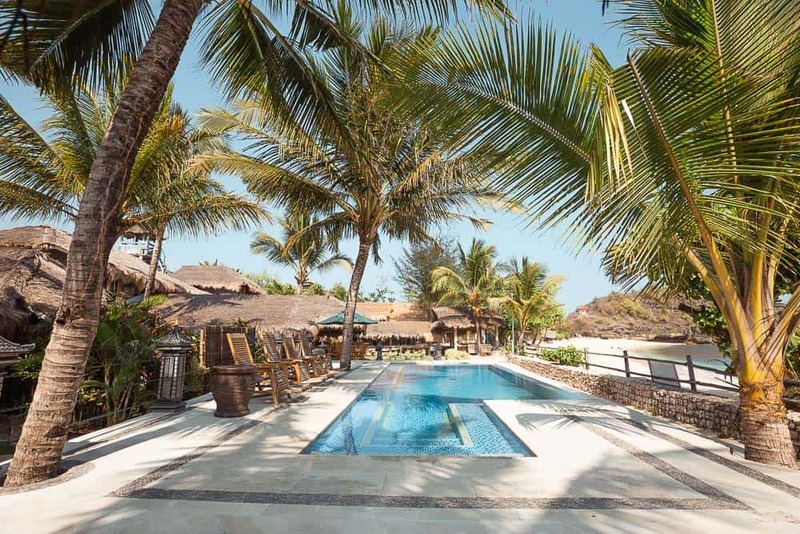 Istana Ombak Eco Resort has a number of bamboo beach bungalows, large open bar and dining area, swimming pool, ping-pong table, fire pit, look-out tower and entertainment area all of which are surrounded by shady coconut palms and beautifully up-kept gardens. 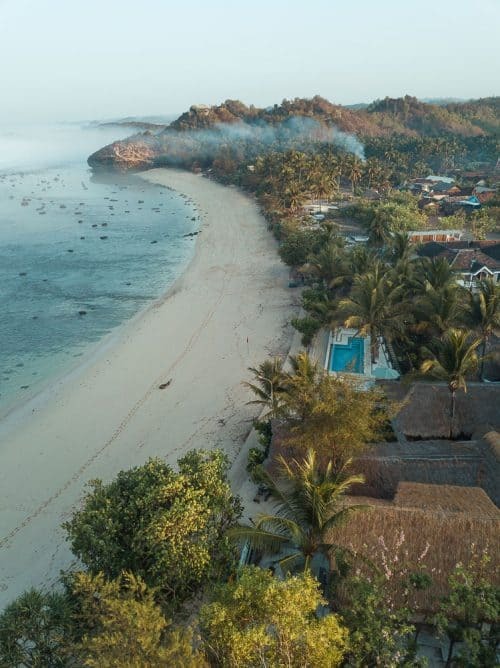 The pristine beach of Watukarung is literally a stone throw away from Istana Ombak Eco Resort. It would be rude not to jump in for a swim as soon as you have dropped your bags off in the room. The beach itself has a very unique rock formation that looks like the head and body of a lion laying down. 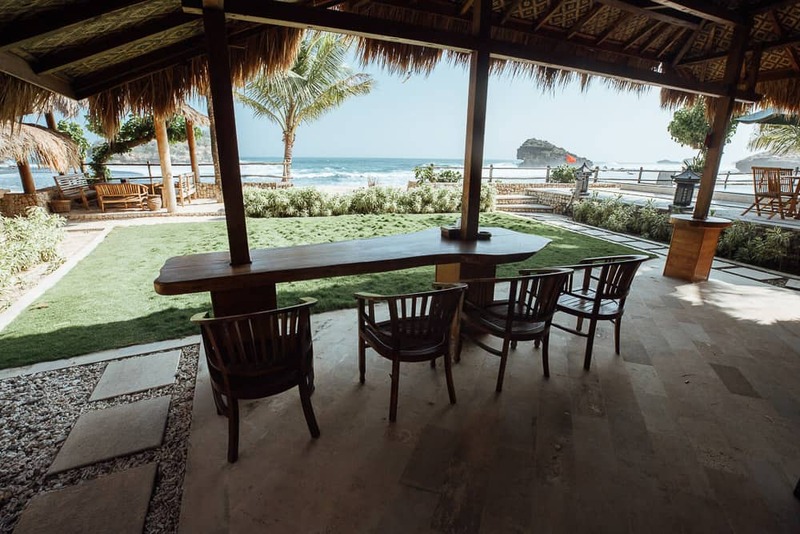 The world class surf break at Pantai Watukarung offers a left-hand and right-hand barreling wave with a channel in the middle that divides the two. The Beach Villa is the most luxurious accommodation at Istana Ombak Resort that sleeps up to 6 people. 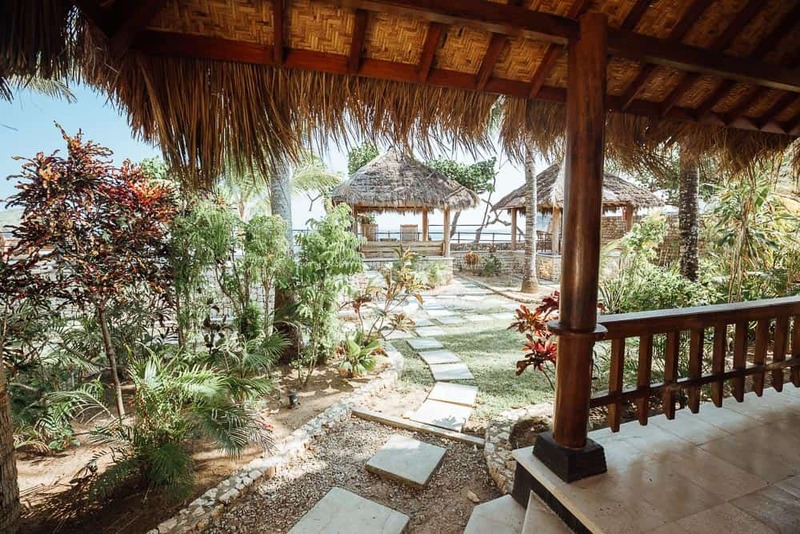 The Beach Villa has a unique split level design with a loft style master bedroom, private bathroom, fully equipped kitchen, air conditioner and glass double-doors that open up directly on to the beach front at Pantai Watukarung. 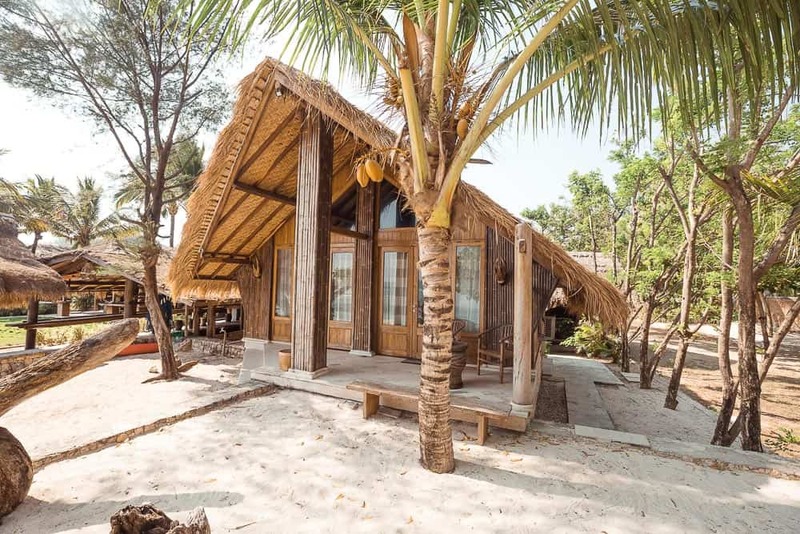 There are 4 Beach Bungalows at Istana Ombak Eco Resort. 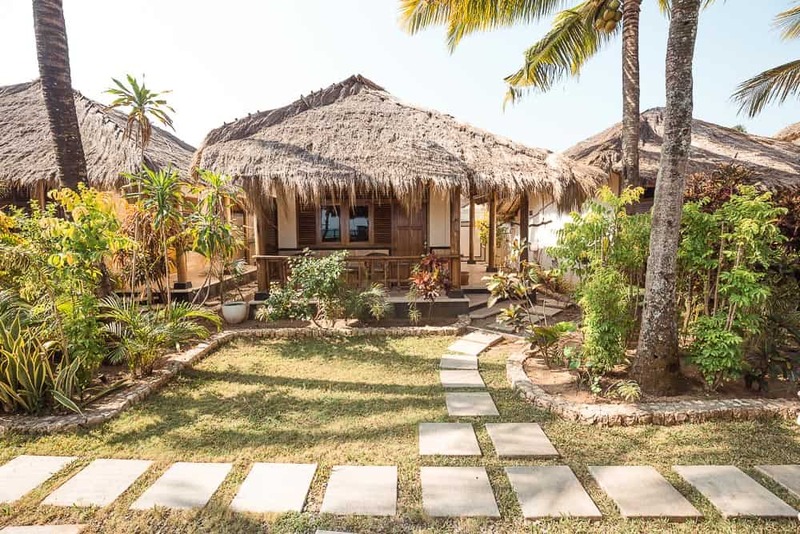 Each bungalow sleeps up to 4 people with an outdoor private bathroom, air conditioner, television and a front porch terrace overlooking the gardens, the pool and the ocean. 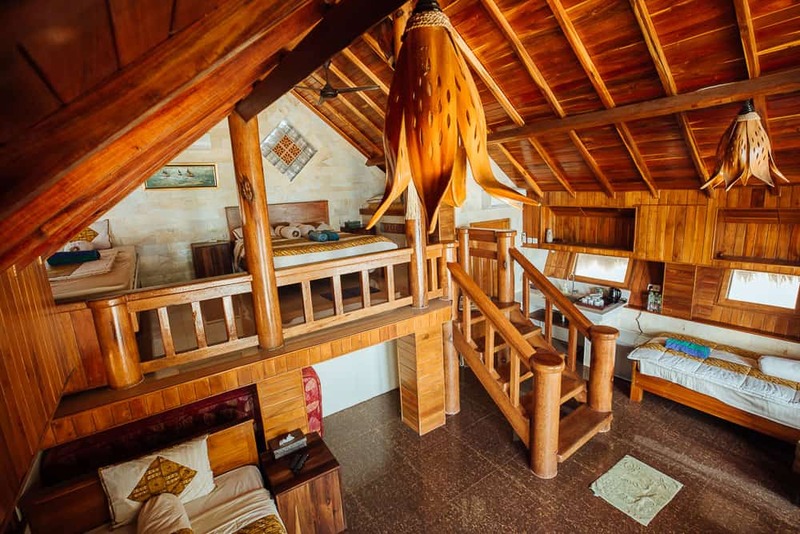 The newest addition to Istana Ombak Eco Resort is The Honeymoon Suite. 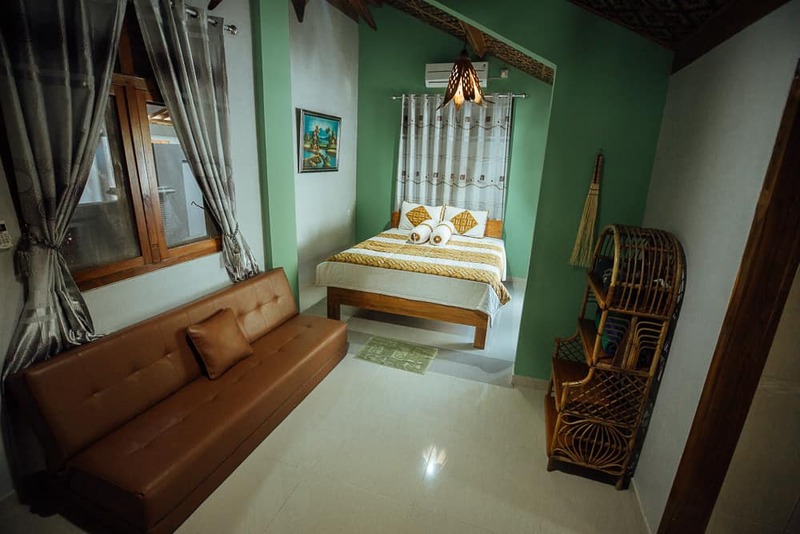 Located on the 2nd floor of the resort, this room has a large bed, air conditioner, television, kitchenette, private bathroom and a large balcony that has the best view of Pantai Watukarung. The Garden View Room is the budget room at Istana Ombak Eco Resort. 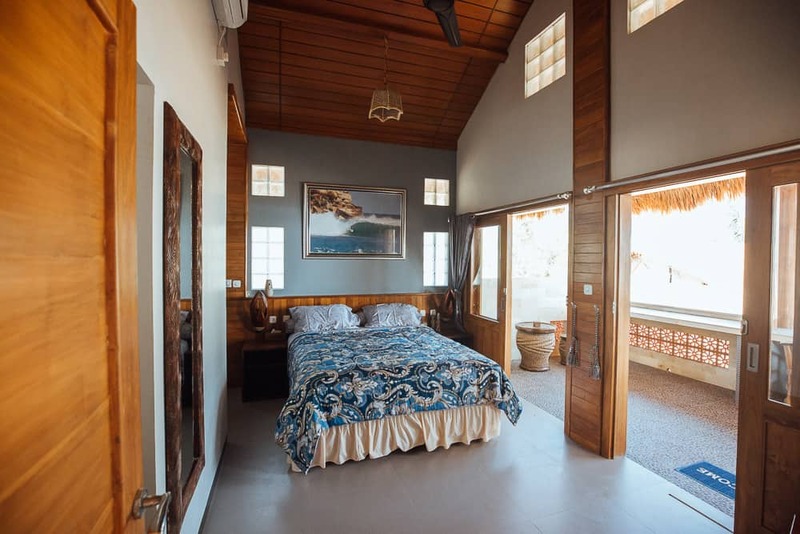 Although it doesn’t offer a fancy ocean view like the others, this room is very cozy and can sleep up to 3 people on a Queen size bed and a pull out sofa bed. The Garden View Room also has a private bathroom, sitting area, television, air conditioner and a kitchenette. Perfect for a small family or backpackers. You can visit Istana Ombak Eco Resort all year round. There is no low or high season here as Pantai Watukarung is still a hidden gem on the East Java coastline! The only thing you may want to consider is the rainy season which is December-February each year. 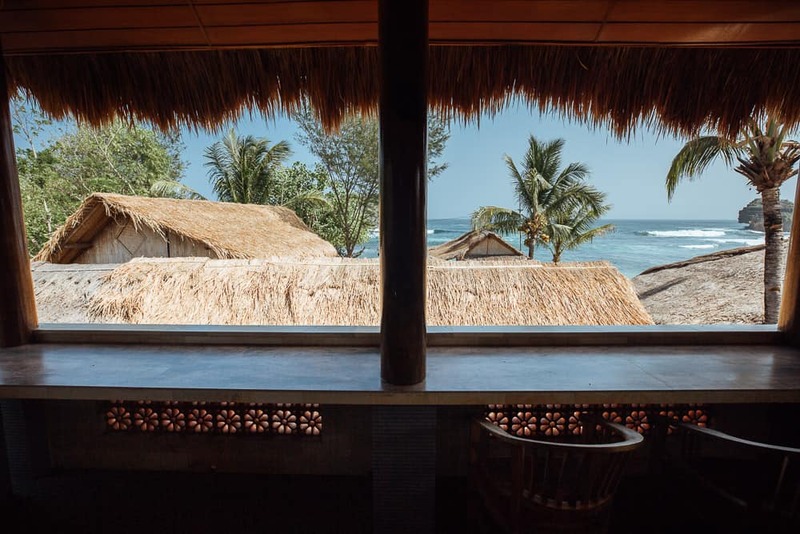 Other than that, you will be blessed with sunshine and world-class waves here at Istana Ombak Eco Resort! 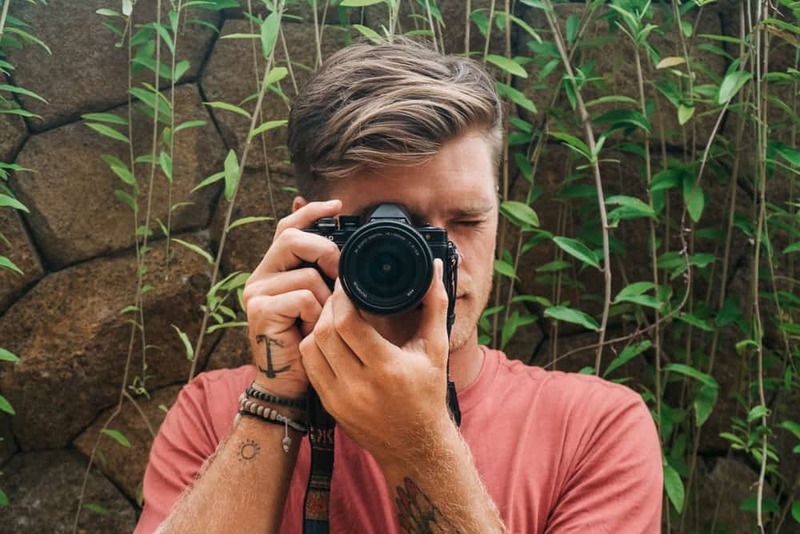 If you’re looking for ultimate adventure, be sure to check out my other posts from East Java. If you have any questions about this article, please drop me a comment and I will get back to you as soon as I can.